wpglocksmith.com at WI. Winnipeg Locksmith 24/7- Locksmith Winnipeg Local Emergency. 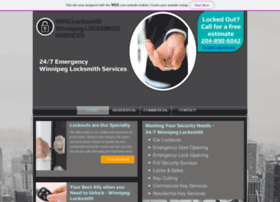 Winnipeg Locksmith 24/7- Locksmith Winnipeg Local Emergency.